Success Freedom Smartwatch Woman From Behind At Sunset. Winning.. Stock Photo, Picture And Royalty Free Image. Image 55651555. 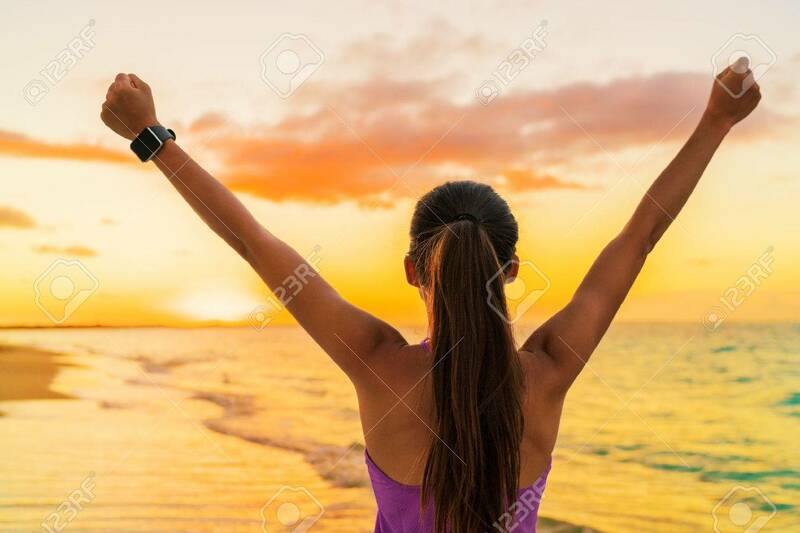 Stock Photo - Success freedom smartwatch woman from behind at sunset. Winning goal achievement fitness athlete girl cheering on tropical summer beach wearing wearable tech smart watch activity bracelet. Success freedom smartwatch woman from behind at sunset. Winning goal achievement fitness athlete girl cheering on tropical summer beach wearing wearable tech smart watch activity bracelet.